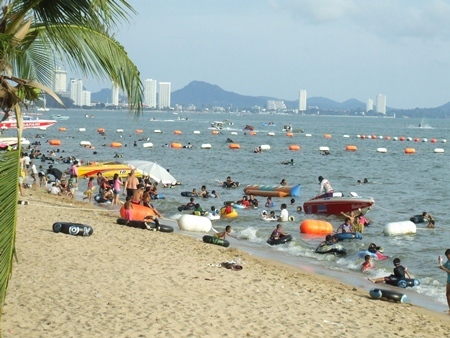 Peaceful times brought tourists back to Pattaya Labor Day weekend a year after the city was left virtually deserted due to increasingly violent street protests in Bangkok. 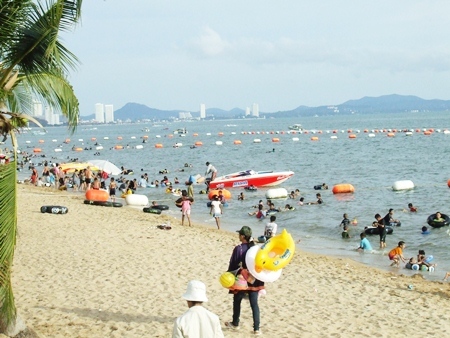 Crowds were plentiful along Jomtien Beach with Thais, many of them from the capital, flocking to the seashore with their families for the three-day weekend. 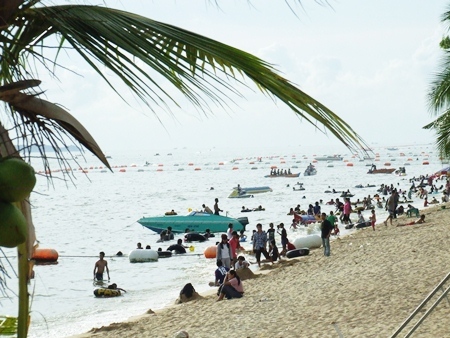 Beach chair vendor Lamduan Sriprai said this year saw more tourists arrive for Labor Day Weekend April 30-May 2 than she remembered coming for two or three years. Tourists flock to the beaches over the long Labor Day weekend. It certainly marked a rebound from 2010 when “red shirt” antigovernment protestors had taken over Bangkok’s shopping and business districts and, on May 2 last year, the government began threatening to forcibly clear blockades with military troops. That crackdown would come a week later with battles and riots that would leave 91 people dead.